BEND, OR -- Sara Gomez remains missing, two months after her disappearance. 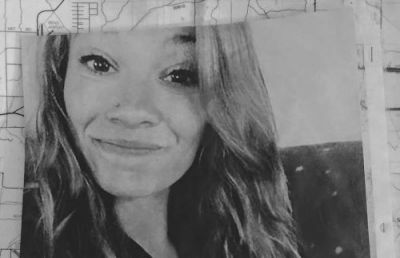 Her sister, Elizabeth Fennel, says she and her family will never stop searching for the 24-year-old Bend woman. Fennel agrees with the District Attorney and other investigators who believe Gomez was killed by her ex-boyfriend Brian Penner, the ex-boyfriend. She believes Penner hurt Sara because he'd done it before. Both women had restraining orders against him but Fennel says he continued to pursue Gomez, "He had stalked her at the work place. He was threatening her because he still had her dog and a couple of her sentimental items that she wanted and it was just hard for her." A couple of weeks after Gomez's disappearance, Penner died of an apparent suicide while in custody. Fennel says the note he left behind shows Penner was delusional and mentally unstable, "The very end statement is that he hopes that Sara is happy, wherever she may be, and that how dare any of us think that he would have any involvement because he loves her more than any of us do." Fennel tells KBND News, "He was definitely mentally unstable. he was completely, almost, delirious." Fennel says she and her family have never thought Penner could have pulled off the crime alone, but she worries ambiguity by law enforcement officials about whether another person was involved means some searchers may limit their efforts. "People are telling searchers to only look at places where a small sedan could go. But, at this point, we don't know if it was him in just his little sedan. It could've easily been another person with a 4 x 4 car or truck."